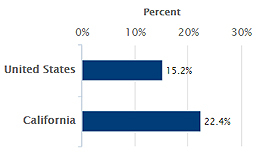 A positive school climate is paramount to addressing disparities in health and well being among LGB youth in California. We were pleased to host Jenny Betz from WestEd to discuss the latest research on school climate and Hannah Herrick, a UC Berkeley student, to share her high school experience as part of the LGB community. 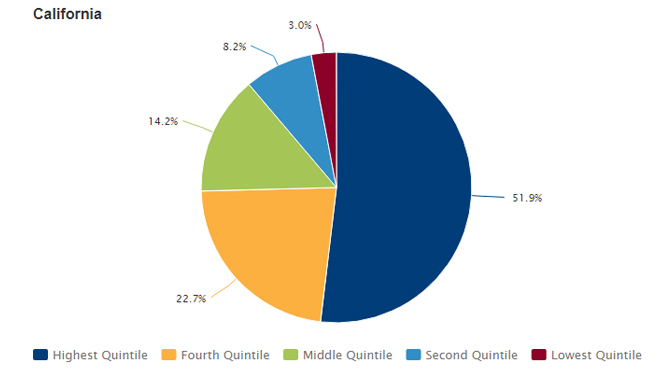 For an overview of key health data, see our latest issue brief. 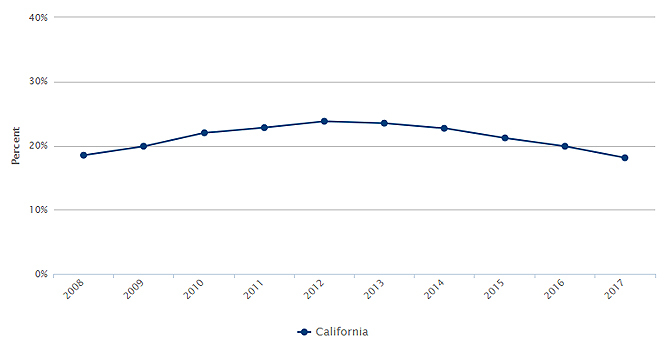 See the latest data on transgender youth in California. Thanks to all who joined us for this enriching and thought-provoking issue briefing. 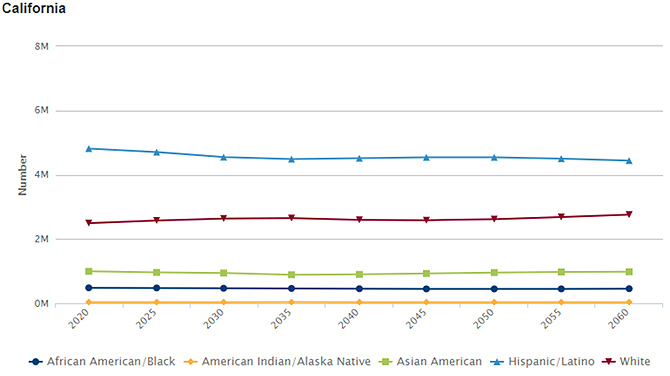 Explore more data on school climate and LGB youth. We always appreciate feedback and are happy to share any additional resources that you may have on this topic. Please email info@kidsdata.org. 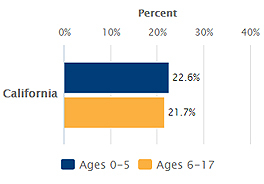 A new issue brief from Kidsdata reports startling disparities among California youth based on sexual orientation. Across many indicators of health and well being, lesbian, gay and bisexual youth reported troubling behaviors and consequences at about twice the rate of straight youth. Learn about the latest research on school climate and its impact on health and well being of LGB youth. Also, hear a young person’s perspective on her high school experience as part of the LGB community. Audience Q&A is highly encouraged. Speakers will be available for questions immediately after the 30-minute briefing. Attendees are encouraged to review Kidsdata Issue Brief: Lesbian, Gay and Bisexual Youth in California prior to the briefing. Jenny Betz is a School Climate Specialist in WestEd’s Health & Justice Program, where she engages with schools and districts to improve school climate and wellness. With more than 18 years of experience in the nonprofit sector — local, regional, national, and international — Jenny has a passion for social justice and building the capacity of education stakeholders to ensure safe, affirming, and inclusive learning environments for all. Prior to joining WestEd, Jenny was the Director of Education & Youth Programs at GLSEN, leading national campaigns, programs, and resource development addressing LGBTQ issues in K-12 schools. A native of the Bay Area, Jenny earned a BA in English at St. Mary’s College and an MA in gender/cultural studies at Simmons College, and serves as a member of the International Bullying Prevention Association (IBPA) Board of Directors. Hannah Herrick is a sophomore at UC Berkeley with an intended major in Social Welfare and minor in LGBTQ studies. She identifies as bi/pansexual. Hannah is a youth services volunteer with the Pacific Center for Human Growth, the oldest LGBTQ center in the Bay Area. She leads discussions and provides peer support for LGBTQ youth at local middle schools. Hannah is also a member of Bear Closet, a community-based organization at UC Berkeley focused on making the LGBTQ community more accessible to questioning and closeted youth. 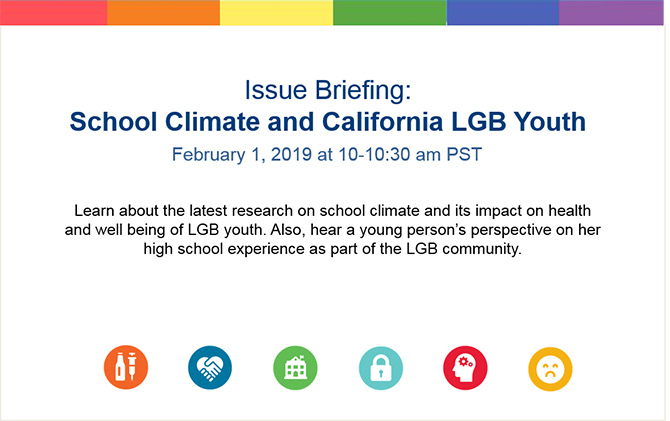 The Kidsdata Issue Brief: Lesbian, Gay and Bisexual Youth in California highlights findings from our latest data release on youth in schools. Disparities among youth based on sexual orientation are startling. 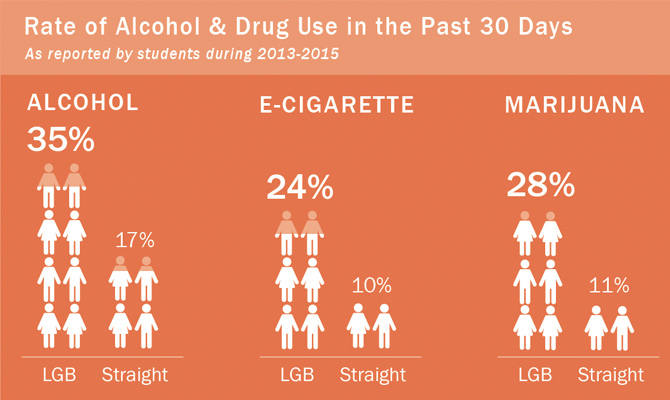 Across many indicators of health and well being, lesbian, gay and bisexual (LGB) youth in California reported negative behaviors and consequences at about twice the rate of straight youth. Alcohol and drug use were higher, feelings of depression were more common, and skipping school was more frequent among LGB youth. Addressing these issues early through policies and programs that promote a positive school climate can help mitigate these behaviors and their effects. By maximizing public funding streams, providing enhanced health care services, and integrating systems of support, all students, including LGB students, can experience better long-term health and well being. Learn about the latest research on school climate and its impact on health and well being of LGB youth. Also, hear a young person’s perspective on her high school experience as part of the LGB community. Audience Q&A is highly encouraged. Speakers will be available for questions immediately after the 30-minute briefing.